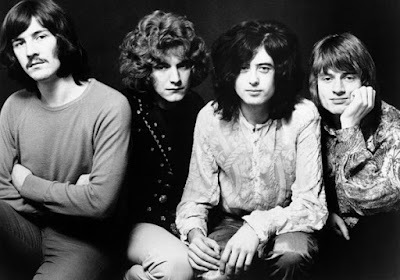 The completed track – which originally appeared on “Led Zeppelin IV” – was recorded in 1970 and is one of several alternate mixes appearing on companion discs included with the revamped “Coda” package. The set also presents “Friends” and “Four Hands” (“Four Sticks” from "Led Zeppelin IV"), two tracks recorded during a 1972 trip to India by Page and Robert Plant that saw the pair perform with the Bombay Orchestra. The band’s ninth and final studio album, “Coda” originally presented 8 unreleased tracks recorded between 1970 and 1978. The project peaked at No. 6 on the US Billboard 200 on its way to sales of more than 1 million in the States alone. NOTE: Access to the audio premiere is restricted in some territories at source, beyond hennemusic’s control. If the file does not play, you can try listening to it at Rolling Stone.